Tesla: War of Currents is a Defense game from Bigdino. Tesla vs Edison, keep your team alive and blast your way through each level. Upgrade your squad, unlock hidden units, and take Edison’s inventions down! Incursion 2: The Artifact is the latest Tower Defense game from Armor Games developed by BooblyC. 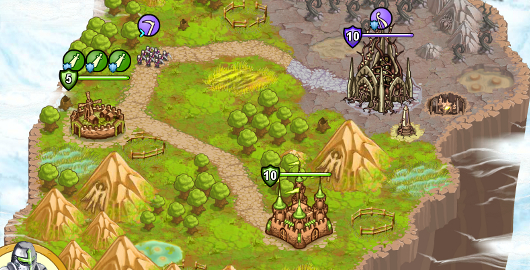 Place your troops in position to protect your kingdom. Earn credits to upgrade your troops. Large file. May take time to load. 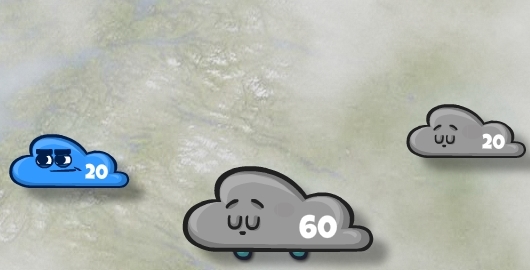 Cloud Wars Sunny Day is the sequel to Cloud Wars, a real-time defense style strategy game by StaalMedia. Send your army to takeover other clouds. 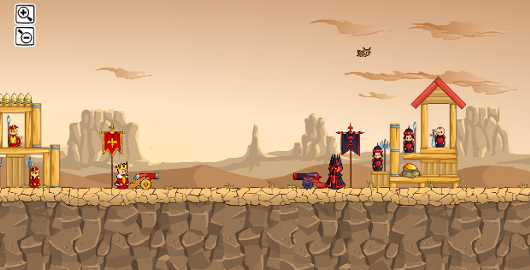 Kings Game 2 is a sequel to Kings Game, the Physics based Defense game from Jeddah Bikers created by Smokoko. 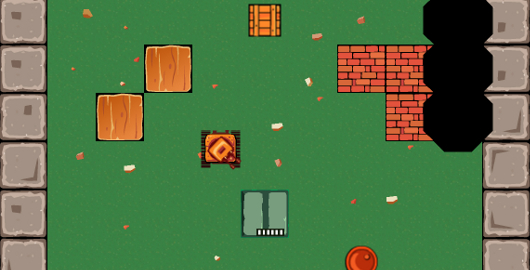 Like before, launch cannonballs and explosives at each castle to destroy all the enemy within. The enemy will shoot back so don’t let them destroy your castle first! 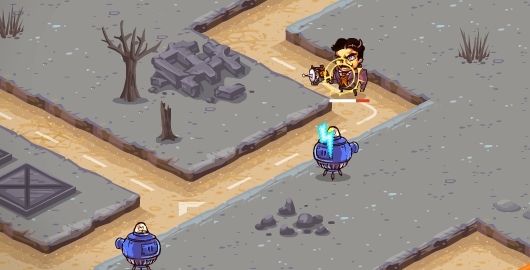 Incursion is a Tower Defense game from Armor Games developed by BooblyC. 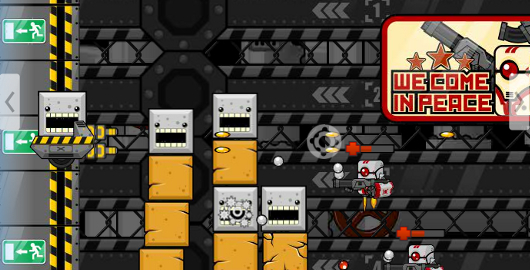 Strategically place your barriers and defense bots to keep enemy robots from crossing your line. 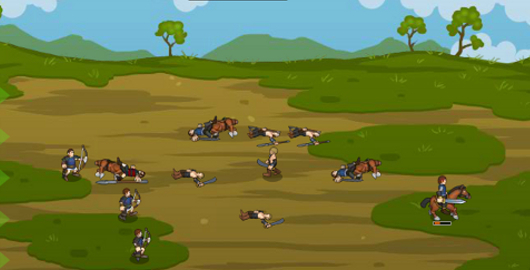 Hordes and Lords is a Defense Strategy game from Kongregate by Oroboro Games. Manage your squads to do the most damage to the enemy as you can. Collect the funds for upgrades. 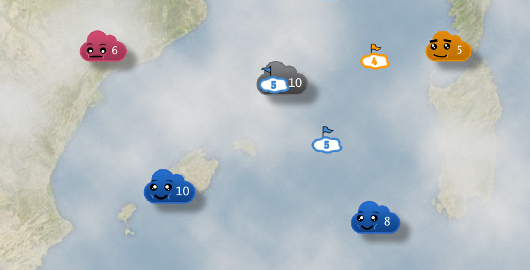 Cloud Wars is a real-time strategy game from Bigdino by StaalMedia. Commit Point Five is an Arcade style Defense game from Tremor Games. Use your mouse to shoot and the arrow key’s to move. Move into the circle as you shoot the ships that come into range for score. You must survive inside the circle for a few seconds before the level is complete. Some are locked so you’d better find the key fast! 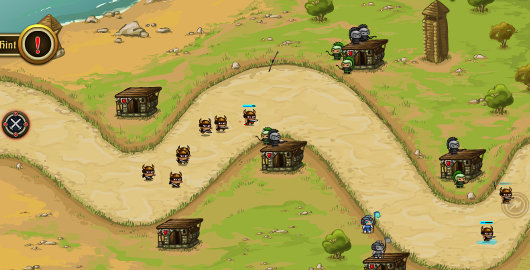 Takeover is a Defense style Strategy game from Armor Games by IriySoft. 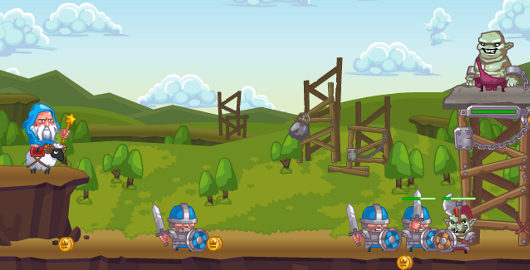 Send out your troops to defend your castle. Then send them to the neighboring castle to root out the undead. Rebuild the castle and earn the funds to upgrade your defenses. This is a Large File so give it time to load. Awesome Tanks 2 is a sequel to the fast pace Shooter Awesome Tanks from BigDino created by Alexander Gette. You need three hands to shoot, drive, and grab treasure! Use the funds to upgrade your tank with a wide variety of longer lasting awesomeness! War Elephant is a Defense game from Freeeonlinegames (FOG). Build your troupes and send them out to attack the enemy castle. Help them with the power and strength of your mighty steed! Earn rewards for upgrades to help battle your way to victory! 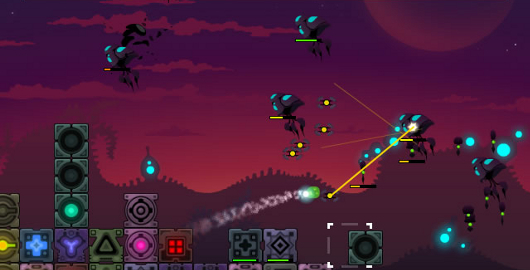 Fairytale Annihilation is a Shooter developed by Robby Scherer, Helmet Games. Use your arrow keys to run and jump, the mouse to shoot. 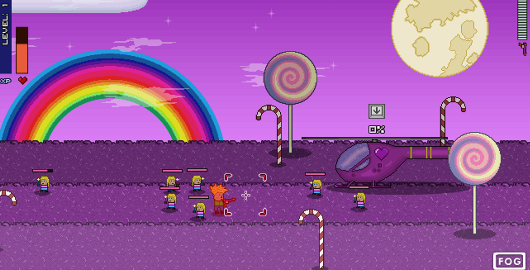 Shoot the hordes of fairytale critters attacking you while fixing your helicopter so you can escape. Overhaul is a Defense game from Bigdino by Ed “Ryzed” Ryzhov. Mine minerals on a hostile planet, a mix of Match-3 and Tower Defense. Protect your mining station by placing and combining the modules falling from the sky. Match three modules to create one higher level module. Click on a module to show information. Discover new abilities and modules as the game progresses, enhance them and use all opportunities to win. Llama in your Face is a Defense style game from Bigdino developed by Simon Parzer and Peter Sperl. 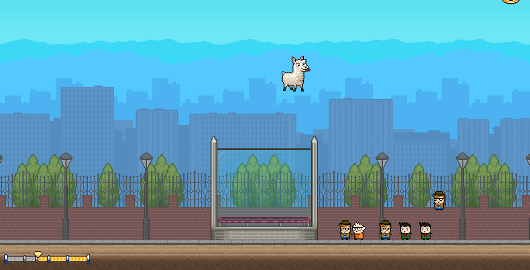 This Llama on a trampoline hates tourists! Spit on the zoo visitors to prevent them from jumping into your cage. Collect coins to buy upgrades and improve your chances! 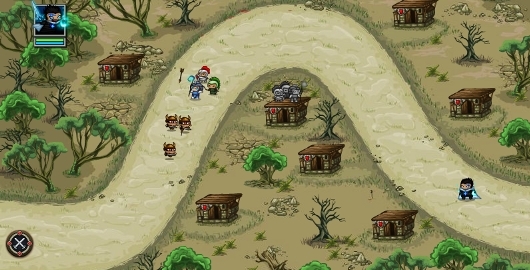 Wizard Walls is a Defense style Platform game from Kongregate developed by Brotherhood. 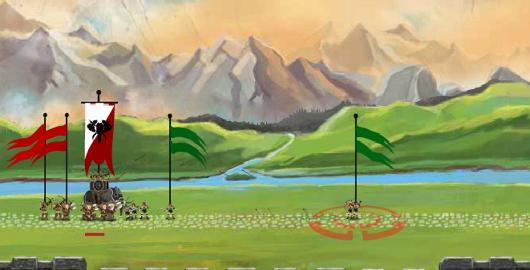 Use your magic to build walls to protect your troupes from rock throwing trolls. Earn money to buy upgrades and achievements. 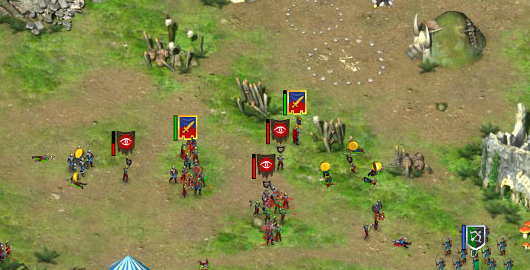 Empires of Arkeia is a Defense game from GameArk. Deploy your troupes to fight the enemies and earn credits for upgrades.